Dubai is a fantastic city and a brilliant tourist destination. During my two-week stay in arguably the most luxurious destination in the Middle East I discovered both the reasons why the international media has fallen in love with the city and those less spectacular characteristics that have not seen the coverage they deserve. The name Dubai supposedly originates from the Daba souk, or market and an old Arabic word for money. Ironically this description is quite befitting. Markets and shops litter the city, from the traditional bazaars of the old quarter in Deira to the luxury shopping malls of nearby Bur Dubai. 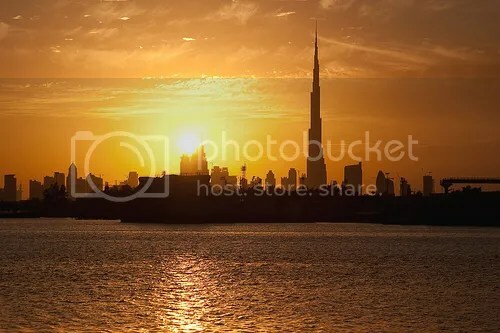 In many ways this metropolis is the jewel of the United Arab Emirates (UAE), a country composed of seven hereditary emirates that have seen massive transformations since their unification in 1972. The country’s massive oil and natural resource wealth enables the emirates to mobilize their resources to generate more sustainable forms of economic development. Nowhere is this more evident than in Dubai. Today, Dubai relies on tourism, construction, trade and industry specific free trade zones to generate growth and wealth. Aside from a downturn during the Great Recession, this strategy has worked remarkably well. The malls of the city are erected as monuments to capitalism and demonstrative of how capitalism’s transformative powers can be channeled by strong and stable leadership. A city that began construction of its first skyscraper in 1979 now boasts 911 high-rises. Chief among them is the world’s tallest building and man-made structure: the Burj Khalifa. Observable from anywhere around Dubai, it dwarfs everything surrounding it and boasts a view that simultaneously dazzles and terrifies. Finance, media, trade and construction have made Dubai a cosmopolitan paradise bedecked with amazing beaches, fantastic restaurants, extravagant malls and even a indoor ski slope in a city that has literally risen out of the desert. However many of these aspects obscure the realities of the situation on the ground. The need for labor has led to a great imbalance where Emiratis are a minority in their own country, outnumbered five-to-one by a mix of laborers from South Asia and expats from Europe and other Middle Eastern countries. To deal with the national security implications of the country’s demographics, the government has developed a significant security apparatus. All workers must acquire travel visas in addition to undergoing fingerprinting and retinal scans when they pass through passport control at Dubai’s airport. To be frank, the standards that impact laborers themselves are severely lacking. While the UAE may have been elected to the United Nations Human Rights Council, there is a lot of work to be done internally. Laborers are often mistreated, lack representation or formalized rights and grievances process and live in substandard labor camps on the outskirts of the cities they work in. A Human Rights Watch report from November 2006 points how at that time there were only 140 inspectors for almost 250,000 businesses. Particularly concerning is how workplace accidents and deaths are scarcely reported and there are no institutionalized checks forcing companies to disclose actual numbers. Although Dubai’s courts have ruled company confiscation of employee passports illegal, this practice continues completely uninhibited by a fear of enforcement. It seems that even though traces of protection have trickled down from high courts and the federal government, there still remains much work to be done to bring companies into compliance. Meanwhile, laws pertaining to non-citizen residents are harshly enforced. Though my uncle has lived in Dubai for the last 18 years, he faces deportation if he loses his current job and is unable to find a new one in a month’s time. One impact of these policies is that people without verified sources of income are prohibited from staying in the country. In effect, there really aren’t what we might consider impoverished people inside Dubai. You would be hard pressed to find a homeless person—during my whole time there I saw no panhandlers or beggars. The dissonance of seeing people in traditional Emirati dress walking past the Zegna, Cartier and Ferragamo stores in the malls of Dubai is a unique experience, something that defines the state of the city and the UAE as a whole. It is a country still caught between the push and pull of tradition and modernity. Liberalism has taken root, and in many ways is flourishing; however, significant hurdles remain. While alcohol is legal in Dubai it can only be consumed in licensed institutions. In the neighboring emirate of Sharjah, it is banned completely. On the other hand, alcohol can be purchased from stand-alone shops and consumed in public in the emirates of Ajman and Ras al Khaimeh. As a country where the state religion is Islam and tribal values are still deeply cherished, the path the Emirates and Dubai will take into the future is a tightrope. If their prosperity does continue into the future what we might see is a perfect example where capitalism and a moderate form of authoritarianism are able to coexist and tourists with enough money can reap the benefits.